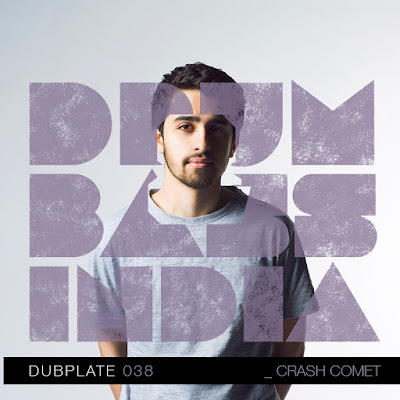 For our 38th Dubplate feature, we have Crash Comet, a 23 year old Liquid DnB producer/DJ from London, who is currently based in Bangalore. Having developed a taste for DnB since he was 15, Daniel launched his debut album in the year 2017, and there has been no looking back since then. He recently won the remix competition hosted by 'Danny Byrd' [and FaderPro]. With frequent performances all over the city, Daniel is also ready with a bunch of new releases that we are certainly looking forward to. Hit play, listen to this outstanding mix he has put together for us, and read about what more can we expect from this young talented one. 1. We’re certainly digging your stage name. How did it come about? A - ‘Crash Comet’ is essentially about trying to tell different stories with each track I make. In my mind each track is like a small comet flying through space. Sounds cheesy, but I think it helps me when trying to write music. 2. What was the inspiration behind picking Drum & Bass as your stand out genre? A - I first discovered Drum & Bass properly when I was around 15 years old, one of my friends showed me a few tracks at school and since then I've been hooked! Something about the energy of Drum and Bass that I just find so addictive and inspirational. 3. We’re digging your recent mix on Boxout and WOW!! What was the thought process behind such an expansive selection? A - I'm so glad you enjoyed this mix, I think I just wanted to showcase my love for as many genres in the drum and bass hemispheres as possible. I usually don't get to play everything in my sets, so I took this opportunity to really showcase my love for the genre. 4. Congratulations again on winning the Danny Byrd remix competition and the remix is MASSIVE!! Tell us more about it! A - I've been a huge fan of Danny Byrd and all of the Hospital crew since day one of listening to dnb, so to be selected as the winner of the Danny Byrd contest was a dream come true to say the least. All I can really say more about it is, if there are any young producers out there aspiring to similar heights, my advice would be to never give up and just keep pushing yourself, because hard work does pay off! 5. Your go-to genre other than Drum & Bass? A - Wow, tough question! It honestly changes every week, but right now I am really feeling ‘Future Garage’. There are some incredible producers really experimenting in that scene and the result is a fresh sound that I think deserves more praise. 6. What can we expect from Crash Comet in 2019? A - You can definitely expect more music! I already have a couple of releases lined up, set to be released in the coming months. Plus you can definitely expect more gigs in India and maybe some other countries as well, you never know..
7. Five tunes you are digging at the moment?